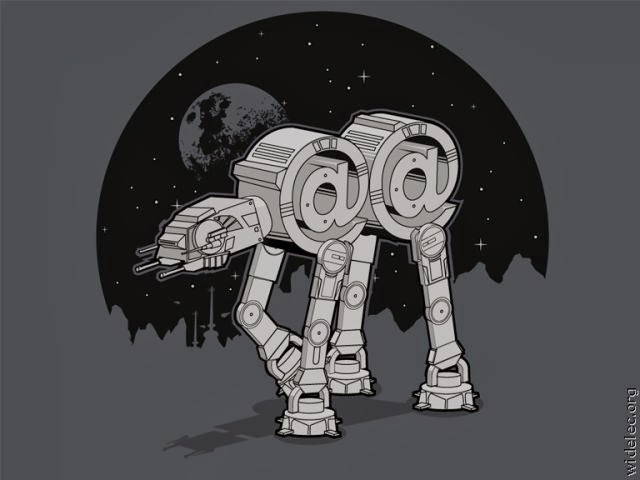 I once again climb into the inter-web to find all the randomness that is Star Wars! If I don't return it has been a good life, just don't replace me with a Hayden Christensen Force Ghost! Star Wars: The Clone Wars -- The Lost Missions, coming to Netflix on March 7, 2014. 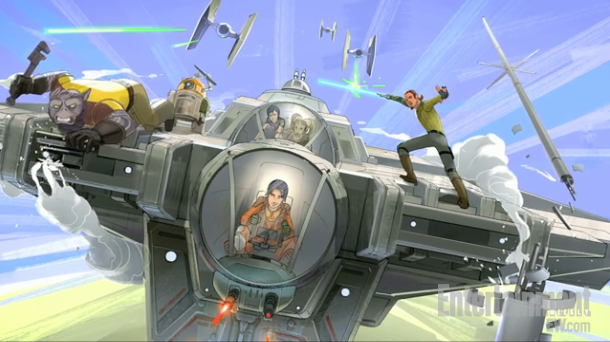 The Geek Twins have a great post on the upcoming animated series Star Wars Rebels. I'm not sure if this is just a rumor, but this caught my eye yesterday. 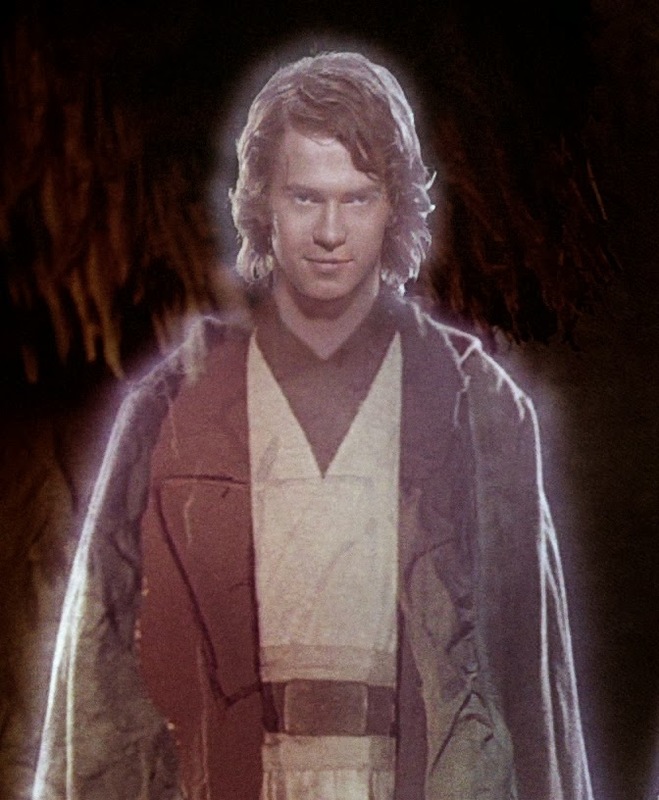 Would you want to be replaced with a Hayden Christensen Force Ghost? 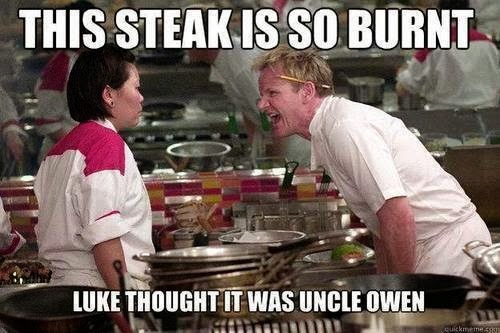 The baked Uncle Owen! Priceless. I want the Kenner toy version of it! And that Adam guy is being mentioned in casting processes of all recent films... I think he pays the journalists to spread the false rumours. You have to wonder how much time stormtroopers spend practicing to miss targets. I love that first comic. Too funny! HA! I did see that Adam was connected to other rumors, but if this one is true it would be big. Ramsey MeMe's are hilarious! I thought the same thing, how convenient. It caught me off guard at first, that was what was so funny. I always love your image galleries Man. I would replace Hayden with the original actor Sebastian Shaw. It doesn't make sense in some ways, but I still prefer it to Hayden's stalker stare. Thanks Roland. I find if I can amuse myself, why not my friends as well. I stick to my mission statement: Random Blabbering of an ADHD Geek! HA! Stalker stare! I prefer the original actor also. If he was going to make him young, why not Obi Wan also? I laughed at the Hell's Kitchen graphic. 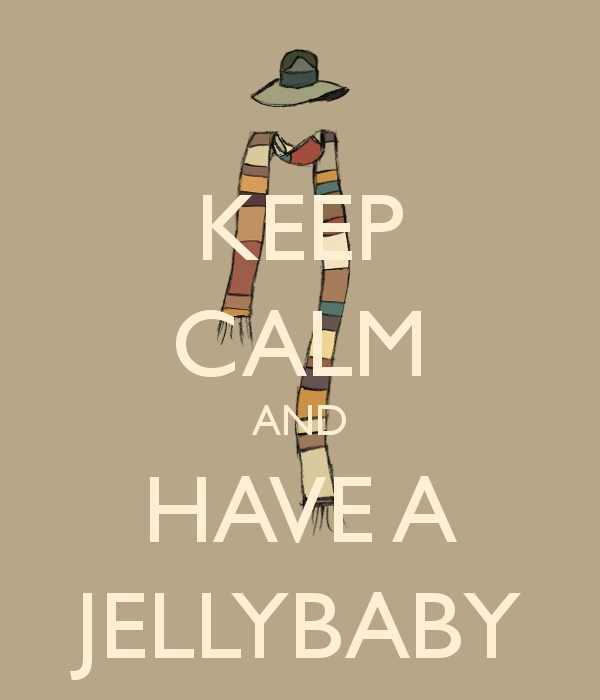 You're very clever, David. This is highly entertaining. 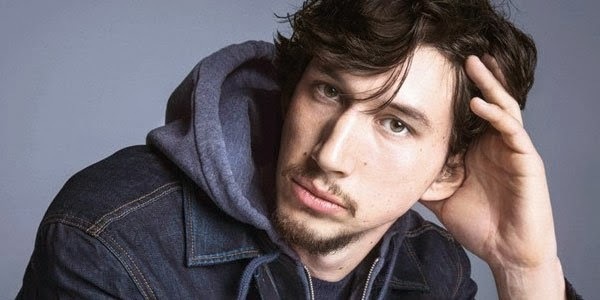 Adam Driver looks more like a stoned musician wannabe than a villain. who is this Hayden Christensen... i never seen before or again. Fun post. @@ - very nice. The HC ghost is just creepy - and not in the way a ghost should be. Glad to you enjoyed it! He might be the anti christ! I think I laughed too hard at the @@! Maurice said it was a stalker stare, I agree! Good One, David! Love Star Wars! And all the near misses! Jeremy doesn't know who Hayden Christensen is?? We often overlook the obvious! This was fun! I liked the original three Star Wars movies. The newer ones, not so much. Thanks, Gordon's kitchen nightmares seem to have slipped into everyone's subconscious. Ha - never thought about all the missed shots! It is a movie indeed. Interesting how we dissect films when we watch them numerous times, isn't it? We have a few family favorites that we've done that with. Makes life more interesting, right? All movies are that, movies...It is fun to run with all sort of thing, just not scissors! Poor Stormtroopers.. See how well you'd shoot in that helmet! 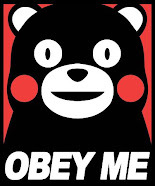 At least they can follow orders. I can hear them now, "Aw, you want us to miss again???" It would be rather difficult to shoot with that thing on your head. I think that is the consensus of most. My son like the newer ones because he likes Anikin from the Clone Wars Cartoon. Those wacky stormtroopers. They are also adept at identifying droids by the bolts they leave behind. Hey, R2 wasn't missing that, was he?? ?